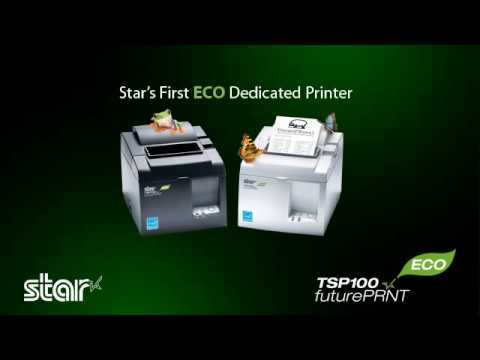 Part Details: TSP100ECO, Thermal Receipt Printer, Auto-cutter, USB Interface. Includes USB cable and power supply. Color: Gray.